Roses, hearts, and diamonds. Sure, Valentine's Day is geared towards women, but what does one get the man in our life? Certainly, he deserves something more than a greeting card, gift certificate, or the most awkward gift of love: a personal trimmer. Whether list-making, sketching, or jotting down a journal, these pocket-sized custom notebooks by Steamwhistle Letterpress are a great way for a guy to take note on the go. 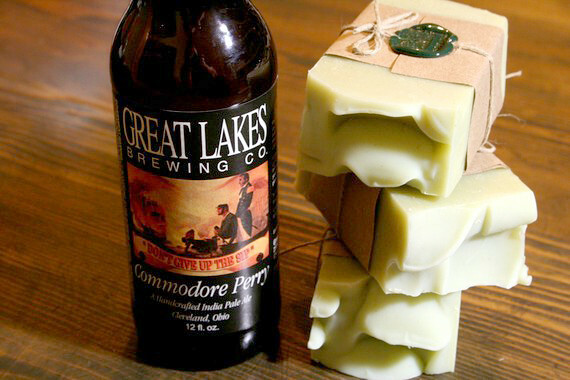 Lather up with your favorite ale using an all-natural bar soap from Orange Fuzz. Each comes in a variety of manly scents like sage, bay rum, or cedarwood. Select your fellow's favorite brew ranging from regional craft beers to imports, like Guinness. Not a beer drinker? Then froth him with a bar of their coffee soap. It wouldn't be a holiday without acknowledgement of the go-to man gift: the tie. 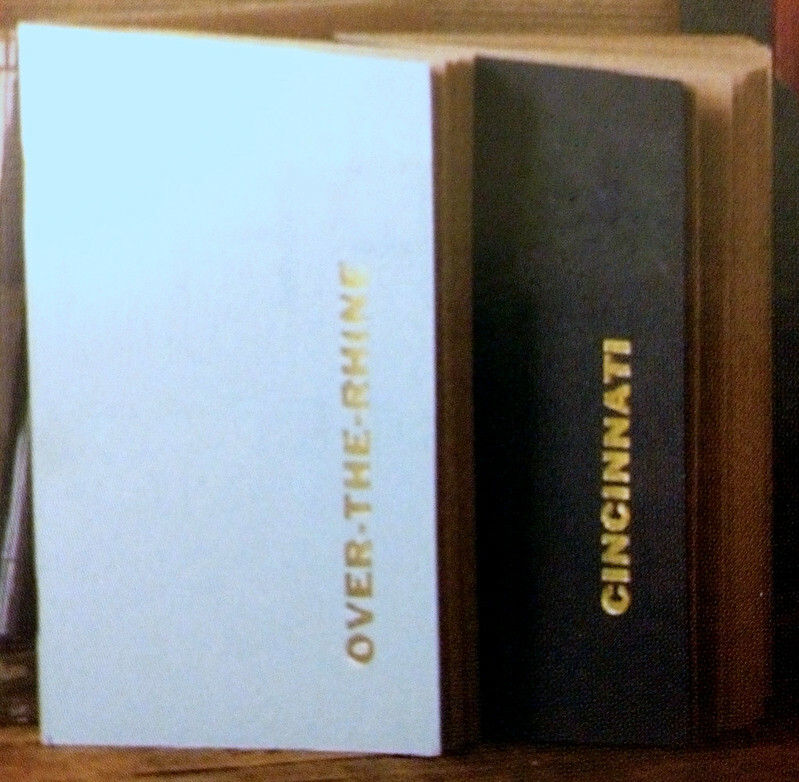 Not just your ordinary neckware, this statement piece found at MiCA 12/V features a stylish map of the Queen City or a simplistic Ohio River. 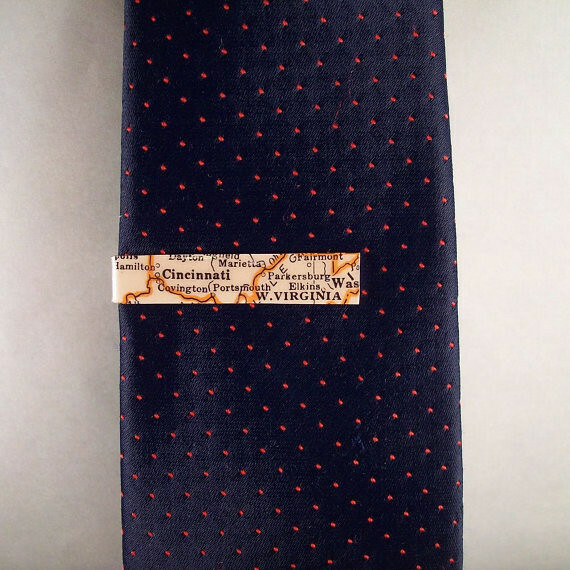 Of course, your necktie ensemble wouldn't be complete without a snazzy Cincinnati tie clip! Featured on The Lovely Teaspoon, each tie clip can be custom made with the city of your choosing: Cincinnati, Paris, New York, Rabbit Hash...whatever you fancy. The shop also features an assortment of non-map tie clips with designs from dinosaurs to Lego pieces to circuit boards. 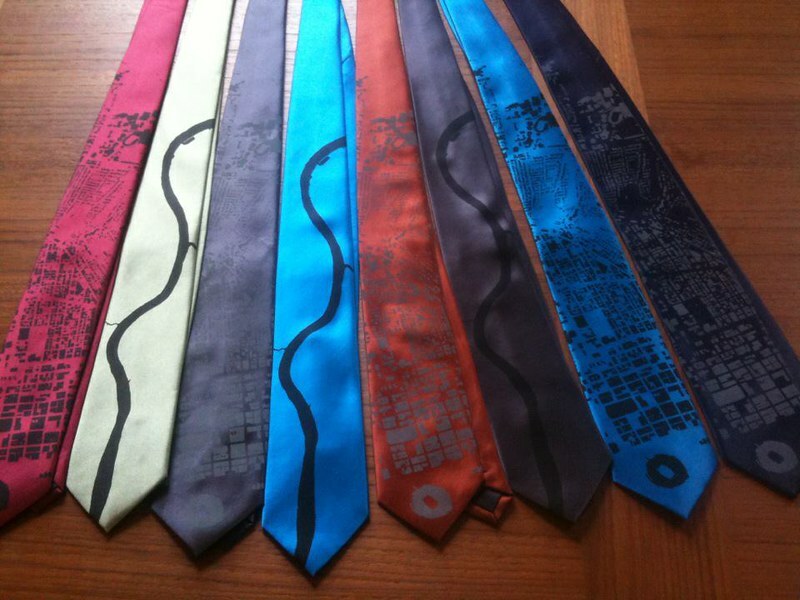 If you have a hobby, it can be fashioned to your tie. If your honey has yet to sample the delights of Donna, step aside and let her work her savory magic on him. Each gigantic cookie has chocolate in every bite and is baked to perfection. 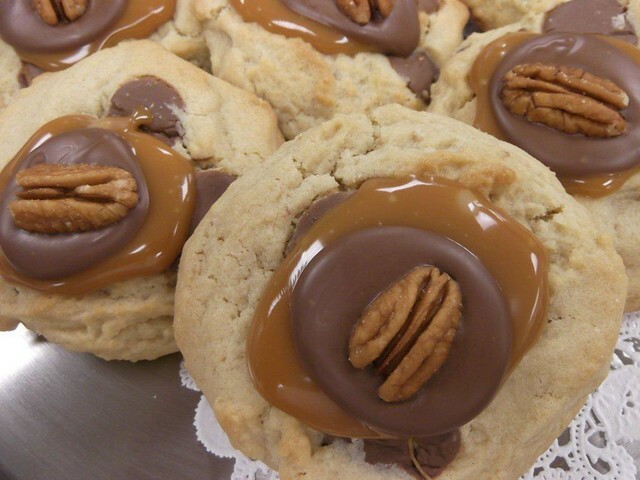 With flavors from classic chocolate chip and her famous Reese's Pieces cookies, to specialty flavors like The Turtle (pictured), Donna is one woman you won't mind sharing Valentine's Day with. What's more manly than a gadget made of wood? 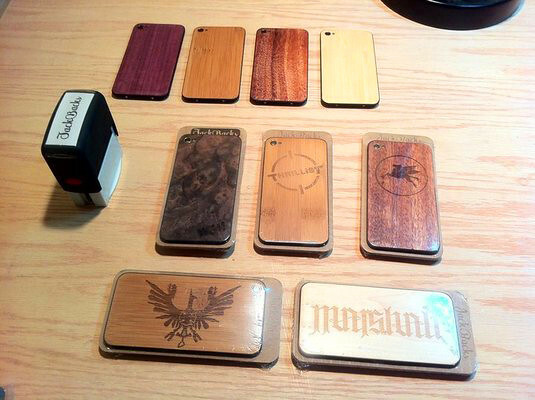 JackBacks in Northside has handcrafted iPhone cases from real wood - not a sticker or "looks like wood" aesthetic. You can also have custom designs etched into it. 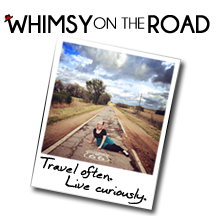 The options are endless: photographs, your favorite quote, a name, a cartoon... if you can dream it, it can be JackBacked! 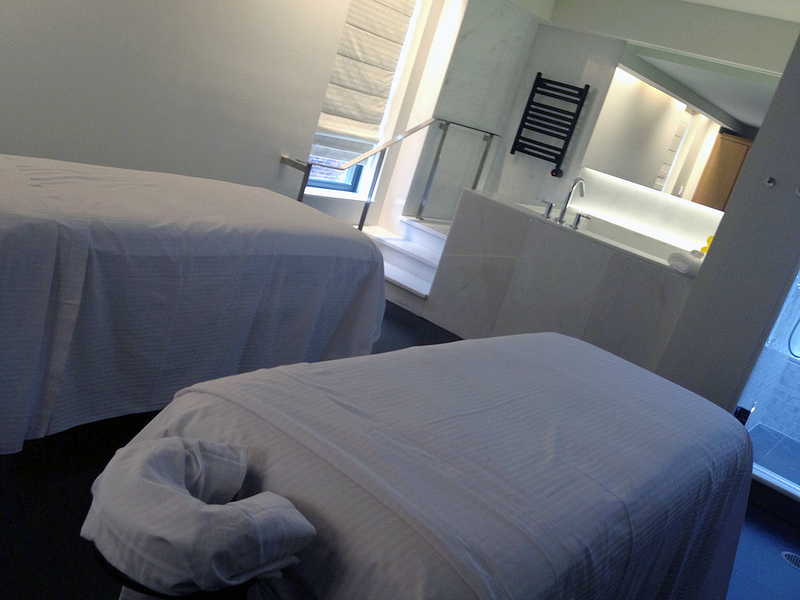 Treat your fellow to a luxurious, relaxing massage at The Spa at 21C. Located in Downtown's newest contemporary hotel, the spa offers a menu of treatments created specifically for men. Focusing around stress reduction and tension relief, these sessions are ideal for the hard working man looking to escape and unwind. 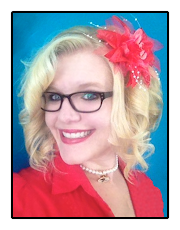 Just when you thought we were done with ties, up popped this fashionable accessory: the bow tie. 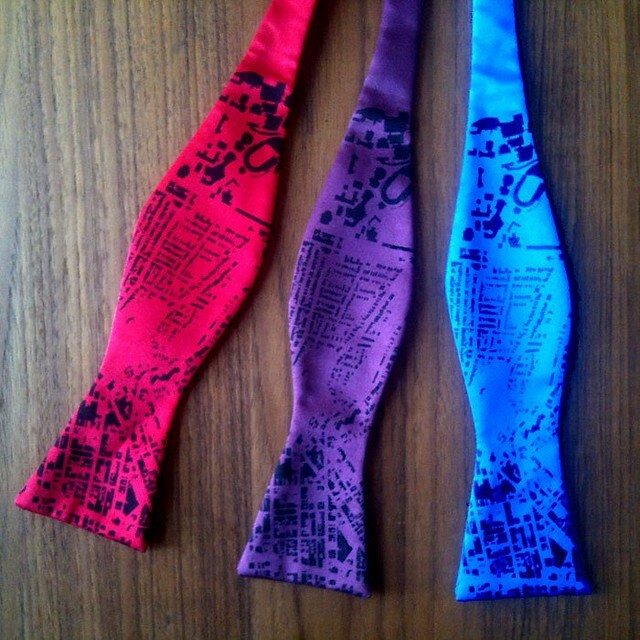 Designed by VisualLingual, these colorful layouts of Cincinnati will fit right in to the wardrobe of your trendy urban explorer. 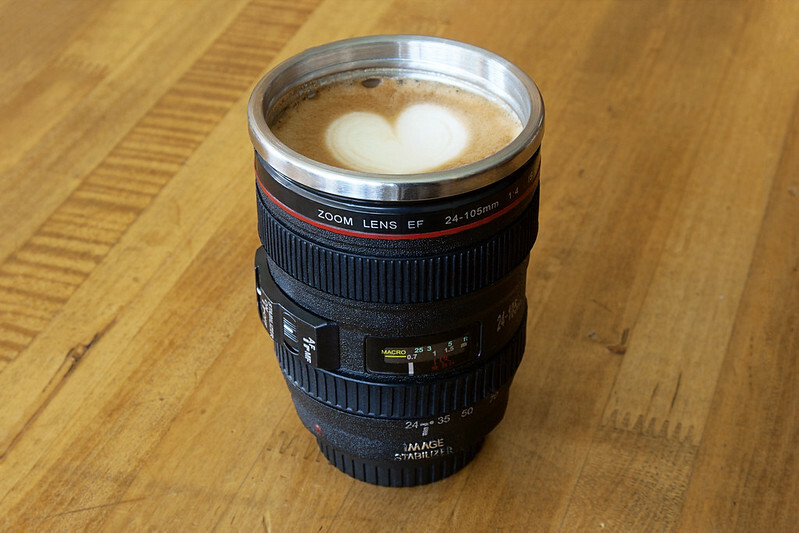 For your lover behind the lens, here's a picture perfect present: the Canon Camera Lens Mug from Photojojo. Complete with rubber-grip focus rings and an auto-focus switch, this lens doppelgänger come with a insulated liner, perfect for carrying a photographer's best friend: coffee. There's nothing sweeter than a giant sack of chocolates for the gift that keeps on giving. 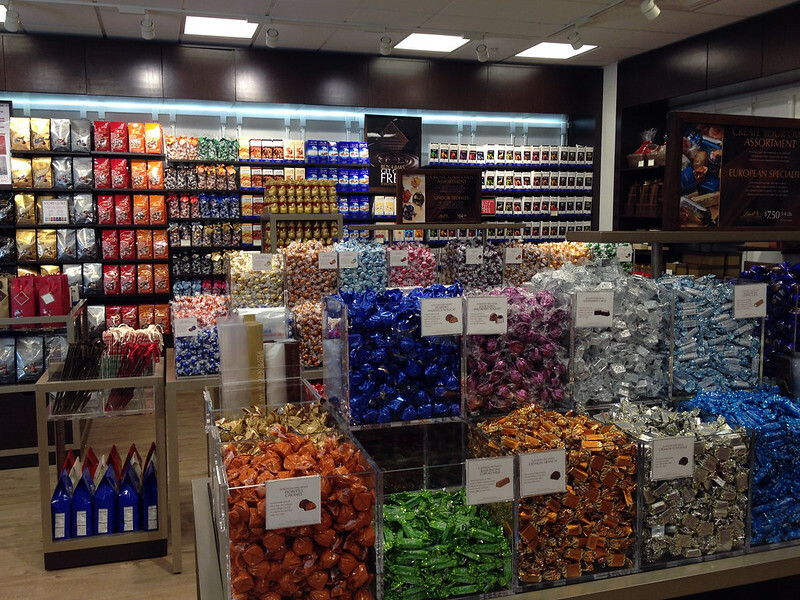 One of the newest additions to the Cincinnati Premium Outlets in Monroe, the Lindt Chocolate shop offers dozens of creme filled truffles which you can mix-and-match, or gather a bouquet of gourmet chocolate bars from their wall-to-wall display.